We know about the 360-degree view of the customer: a unified account of interactions across digital and physical touchpoints. Omnichannel Nirvana. But when it comes to in-store analytics, the head-to-toe view of the customer may be what’s next in one-to-one marketing. How are retailers using face and foot recognition to optimize operations? And how does this tie back into digital? A 29-year old Master’s student at University College London believes assumptions about gender and demographic segments can be made based on customers’ footwear, and has received seed funding to develop his idea. 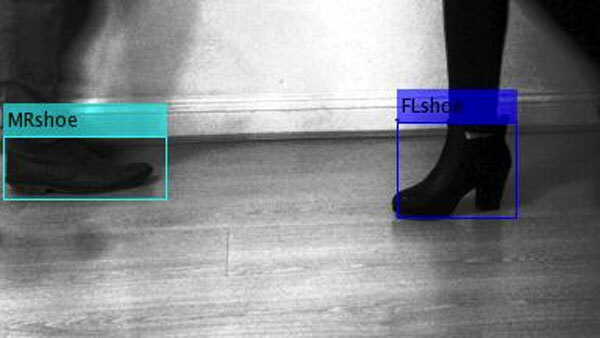 Hoxton Analytics’ system involves hardware (foot-level cameras at store entrance) and software that uses computer vision, machine learning and neural networks, gait analysis and depth detection. The algorithm can assess a customer’s gender and direction they are moving. What percentage of our customers are male or female? Does this vary by location or time of day? Does percentage of male/female change sea or during certain promotions? What are customers’ most likely income cohorts? Which customer cohorts are buying what attracted to which displays? Which stores are underperforming and what could be changed to improve sales? Why is store A performing worse/better than stores B and C? How are sales affected by nearby competitors’ sales events? Do shoppers spend more or less time in-store when foot traffic is high vs. low? Do shoppers spend more or less money when foot traffic is high vs. low? How does the number of available floor staff affect footfall and sales? Is there a positive or negative correlation? How do customers navigate through the store? What are the most common paths? What is checkout-line abandonment rate during sale events and when footfall is above average or unusually high? Which displays and departments have the most throughput and longest dwell times? Which stores could benefit from different merchandising strategies and layouts? A/B testing: place product in 2 different locations and track dwell time in each location – where is it best noticed? How does consumer behavior differ when shopping alone vs. with other? Ideally, a merchant could combine both technologies to track demographic segments through the store via sensors placed throughout the store. While this data is most useful for store merchandising and management, digital marketers benefit from an understanding of the differences in in-store behavior and online. For example, understanding the geographic market differences can help better target merchandising, offers and email campaigns. More footfall directly to the sale rack in Market A? More attention to new stock in Market B? Though beacons can gather similar data, they’re limited to the segment that opts in. Beacon data is great for personalizing an individual’s experience. Footfall tracking is better for optimizing the overall experience. Is this scene from Minority Report far off? Tesco’s come close. Its petrol station facial scanners scan age and gender to target advertising on large screens. FaceFirst lets you upload photos of known shoplifters and problem customers and even litigious customers, with the ability to send alerts to floor staff when such individuals enter the store (and conversely, alerts when your best customers arrive). NEC’s facial recognition product NeoFace claims to be able to identify returning customers even when facial hair, glasses or expressions change, keeping tabs on how frequently these shoppers visit a store and across locations. Theoretically, a combination of these 2 technologies would allow a retailer to also flag “problem customers” that shoplift, return a large percentage of merchandise (or who frequently showroom). To go even further, imagine apps and beacons communicating with facial recognition technology to apply real-time sentiment feedback to in-store personalization through SapientNitro’s beacon-enabled displays, iWatch or other wearable. Mary’s examining product A, but looks confused? Display additional product information. Mary has one item in each hand? Show review content. Mary’s delighted as she handles a product? Show cross-sells and special offers. This contextual data can be rolled back into the online/mobile experience, remarketing, social or email targeting. Did Mary buy the product she researched online? Add a burn pixel to your remarketing campaigns. Did Mary spend a lot of time in Department Z? Merchandise her online experience accordingly. While the above use cases are all hypothetical, the technology is converging to make it possible. The technology for gathering a head-to-toe view of the customer is here (or rapidly approaching), but consumer backlash over privacy is a real concern. Just ask Tesco. While facial recognition is in-your-face, footfall analytics vendors suggest their more anonymous approach is a step closer to privacy. While marketing can dream it, it’s IT’s job to make it work. The challenge for most retailers won’t be data collection, but data connection. Most businesses rely on multiple and disparate systems of record that make it extremely difficult to orchestrate the consistent experiences necessary to make these initiatives happen. That’s why one of the most critical requirements for retailers will be to invest in commerce integration technologies such as unified APIs that make it possible to bring together customer and enterprise data sources in real-time so that they can be used in unison to inform and drive your marketing tools. For more information on Elastic Path’s commerce integration technology, contact us.